Well it didn’t take long for this to happen. 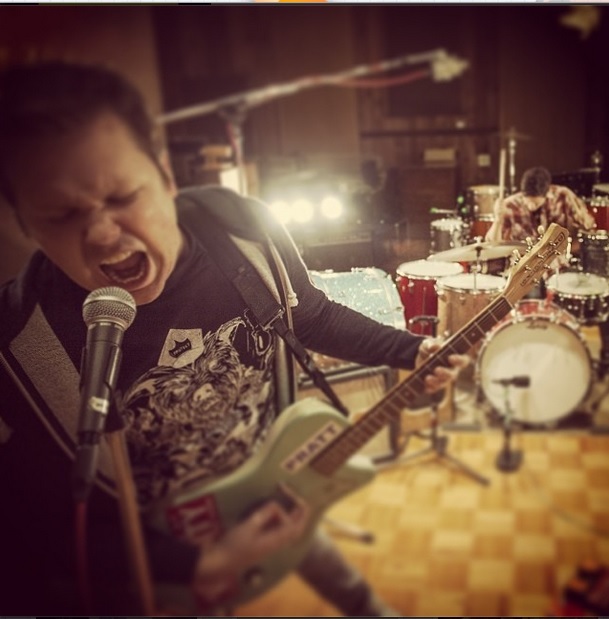 Within less than a month of the final The Chariot show in Douglasville, Georgia, it looks as if the band’s former frontman, Josh Scogin, has already made steps towards new musical avenues with his new project, ’68. This news broke out via live performance video that was shared over The Chariot’s Facebook page, along with Scogin’s Twitter and Instagram profiles. While the song in the video remains to be titled, chances are that it’s either “Three’s a Crowd” or “Third Time’s a Charm,” since it is indicated that this will be included on the band’s debut self-titled 7″, which has already been made available now through The Velvet Press and could very well arrive to your door before Christmas. It’s easy to see that rock and roll music hasn’t left Scogin’s life, and the same goes for heavy music as well. One peculiar thing to notice is the influence that The Black Keys have made on this project. This is certainly no continuation of The Chariot, or even Norma Jean, but instead something new altogether. But don’t take our words for it, check it out yourself by following the jump to see the video, and let UTG know what you think about it! Did anyone ever listen to A Rose By Any Other Name?